Gaming doesn’t have to be on a single device and a single screen. If we all lived in a perfect world then one would always have the opportunity to just sit down right in front of one’s favorite console along with the television in the living room whenever one felt like doing a bit of gaming and stuff. However, this is the real world. And in the real world we have other, sometimes a significant number of, members who live in the same household. These members have their own needs and hence will sometimes try to get in one’s way. If and when that happens, then that is exactly the time when a person should know how to stream games to another mobile device and/or computer machine. Readers should take note that it is actually easier to stream games on different machines than it looks. But for the sake of clarity and brevity, in this guide we will try our best to only concentrate on the absolute latest versions of consoles from the likes of Microsoft and Sony. For those wondering, Nintendo is not in the business of offering users any support to stream games in this fashion. Moreover, in this guide we will also limit ourselves to only those streaming devices that belong to the category of computers and smartphones which are connected to the same WiFi network locally. Readers should know that while it is entirely possible for them to get all of their console and pc games from a network that is outside their home, the setup requires quite a few extra steps and configuration. And even then, it doesn’t offer a good experience. Moreover, this guide would have to go twice as long if we wanted to cover that part in this post. Readers who want to stream their games on iOS, macOS and Windows devices which are part of their home network should consider this guide as the complete guide. As far as Android users go, they have no choice but to deal with the bad news that they options are pretty much limited. However, even with that knowledge, we have tried our best to provide one or two possibilities for them as well. Let’s just start things off with the easiest and quickest method of them all. Microsoft, as as company, has done a superb job of manufacturing the Xbox and writing the Windows 10 software. Because of that, the company has made it more or less simple for users to stream their Xbox games to their machine running Windows 10 and is connected to the same local WiFi network. Readers should know that the key to making this process work is the user’s Microsoft account. In other words, readers have to make sure that they have signed in with their Microsoft account, the same one, on their Windows machine (which can be done by first going to Settings and then to Accounts) and Xbox One gaming console (to do this, the user has to choose his gamerpic which appears in the top left corner of the screen and/or home screen). After ensuring that the account matter is in place, the user is more or less good to go. As mentioned before, Microsoft has actually done the bulk of the heavy lifting for the user in order to facilitate him/her. Now, there is just one other key setting that the user has to enable in order to move forward. That setting is under Preferences if the user gets to it via the Settings pane on Xbox One. Once there, the user has to select the Xbox One app connectivity. Then, the user has to make certain of the fact that he/she has selected the Only From Profiles Signed In On This Xbox option. After that, the user also has to make sure that he/she has ticked the Allow Game Streaming To Other Devices option. Now, with that out of the way, the user first has to fire up the official Xbox application from the official Windows 10 startup menu. After that the user must click the Connection setting which appears on the left-sided menu one the screen. This is where the user should have no problem in picking the right console option. When the two things have finally connected, the user should select the option that says Stream on his/her desktop machine. Readers should also know that they will probably need a compatible controller that they attached to the machine that is running Windows 10 unless they are present in the exact same room as their laptop and the related gaming controller is actually within the range of the Microsoft Xbox One console. Here the user has a total of two options. Either the user can plug in the official Xbox Controller with the help of a USB cable or the user can connect a controller to the machine as a form of bluetooth device. This is easily doable if the user makes his/her way to Settings and then Devices. Our research shows that as a company, Microsoft actually supports either above-mentioned method without the need of an additional software and/or application. When the user has finally connected a valid controller, the rest of the process is pretty much equal to sitting in front of the given TV set and Xbox One and then streaming the game albeit at a slightly lower solution and also a bit of occasional stutter. Our research also shows that the demands on the user’s Windows machine should remain fairly low. And that makes sense since it is the gaming console Xbox One that is doing the bulk of the majority work. We have also come to know that it is entirely possible for users who have a relatively lag-free streaming experience when they test the system on their own for the very first time. Users should expect the same with interfaces such as Sony Remote Play as we will discuss more below. Of course, the final result would also depend on the WiFi system and internet connection that the user would use and if that is not reliable then there can arise some hiccups. This is where we should also mention that streaming, for the most part, is a phenomenon that is highly dependent on things such as the strength of the user’s internal network. Hence, if there is anything that the user can do in order to improve the speed of the network then that can significantly enhance the overall streaming experience. For the majority of the online consumers who are going to implement anything from this guide, the above sentence means that they have to make sure that they make use of all the methods to provide their Windows machine and the Xbox One machine a wired Ethernet connection. Our research shows that wired Ethernet connections generally provide users with a more stable and faster connection than WiFi. Now, in order to have the same experience on the iOS or Mac Os platform, users will have to go to impossible lengths. We won’t discuss those impossible lengths here. What we will mention though is that now there is an app for it. It goes by the name of OneCast. OneCast, which has come into the market relatively recently, is a third-party application which can set a given user back around $12 on the iOS platform and a total of $20 on the Mac OS platform. Perhaps we should also mention here that the Mac edition of the application is currently on a free trial period. Using this free period, the user can give OneCast a good first go. Our research shows that the setup for the Mac OS platform is very much similar to the Windows platform setup. More specifically, the user needs to first enable the game streaming option in the settings menu of the Xbox and then the user needs to connect his/her Xbox One Controller directly to his/her Mac. The user can do that either with the help of a USB cable and/or with the help of the Bluetooth technology. Third-party applications such as OneCast also come with all the necessary drivers. Readers should know that once an app such as OneCast actually initiates it would guide the user through the entire process of signing up with his/her official Microsoft account. That, in turn, would enable the user to pick his//her Xbox One machine directly from the local WiFi network. After that, the user has to hit the Connect button and then he/she can operate on his/her Xbox One pretty much as normal right throughout the official app. As for the iOS platform, the process goes forward in pretty much the same way. First, the user has to register his/her official Microsoft account and then the user has to make sure the machine has detected the Xbox One console. Users have the option of making use of his/her original controller or even a controller from a third-party vendor. There is even an option for using the official OneCast on-screen controls for users who have gotten used to digital input devices. The only unfortunate part here is that there is really no option which is comparable to other systems for streaming various different Xbox One games for users who are on the Android platform. Of course, that can change at any given time. Our research shows that once Project xCloud develops and gets off the ground then this is ought to change. Readers should rest assured that when things change we will definitely update this guide as appropriate. Users who prefer to play games on their video games consoles that have no other name than Sony should know that their first port of call would be to install the official Sony Remote Play application for macOS and/or Windows. Once the user has done that, he/she should face problems in streaming games to any given laptop and/or desktop that is connected to the same local WIFi network. Again, users will have to connect an original PlayStation DualShock controller which will act as the primary input device. When that is done, the user has to enable the related feature on his/her PlayStation 4 gaming console. Just go to the Settings page via the console and then pick the option that says Remote Play Connection Settings. After that, the user should check the box that says Enable Remote Play. With that out of the way, the user should then move to download the official Sony Remote Play application for their preferred operating system. Once the user has made the choice, he/she has to follow the instructions that appear on the screen. We should also inform users that they will have to sign in with their official PlayStation credentials. 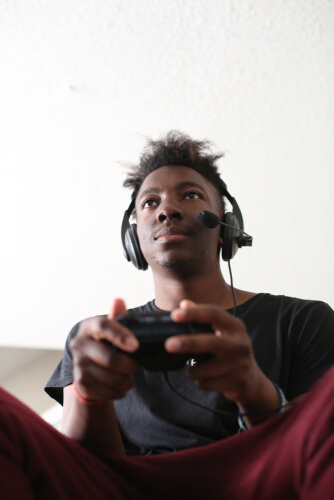 Only after that, they can form the connection which will establish communication between their device and their gaming console. Users can also make use of a special code on their PS4 screen which can act as a backup if that is needed at some point in the future. Once the user has successfully established the connection and has also connected his/her DualShock controller to his/her computer machine via a wireless USB adapter or USB cable then is the time to look at the screen and observe the PS4 console showing up in a special window on one’s desktop machine. It is here that users should click the full-screen icon which appears in the lower right-hand corner of the screen in order to have an enhanced view of all the action that may go on in just a few minutes. The PlayStation 4 app may also show the user some settings buttons such as Options, PlayStation and virtual Share. These buttons will usually come in the form of overlays that users can interact with instead of his/her controller. A specific use case of these options is when the user has a need to bring up some kind of in-game map. We are aware of the fact that so far things have been pretty straightforward especially for Windows and macOS users who are sitting pretty in their homes. However, what about folks who want to do the same on mobile devices? Well, the good news is that all Android users can make use of the Sony Remote Play application which is available via the Play Store. But, when we say Android users, we mean those Android users who have purchased the Sony Xperia smartphones. We do not know of any genuinely reasonable alternative in the market today if the user is on the Android platform and does not want to use the Sony Smart Play app. Of course, as we mentioned in the introduction portion of this guide, there are many ways that advanced users can develop workarounds for various restrictions. But one does need to have an eye of the hacker. 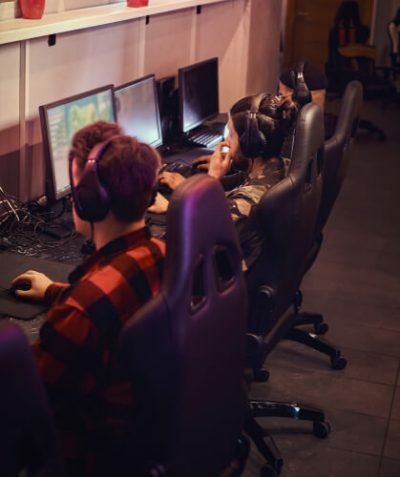 What we mean to say is that hackers and other advanced Android users have managed to come up with ways using which users can stream their games from their PS4 to their PC and after doing that they can stream to their Android smartphone. This is just one instance though. Readers can know more about that here. There is a high chance that the user may not get accustomed to the responsiveness of these workarounds and especially in games which require quick response from the user. If we’re talking about the iOS platform now, then there is a third-party app developer that has managed to plug the apparent gap. The developer has done that with R-Play for the iOS platform which will set any user back around $12. However, since it is a paid app, it actually works. 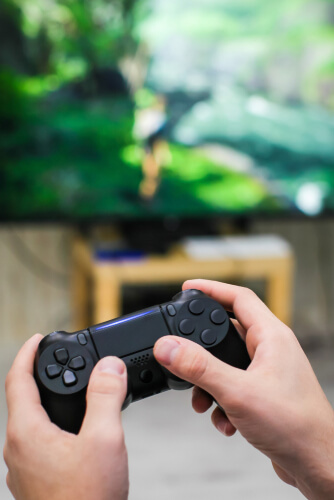 More specifically, this app can get the job done by forming a connection between the official Remote Play functionality which is built right into the PS4 console and the user’s iPad or iPhone for a smooth streaming experience. As for the resolution, most users (especially those who have a tilt towards one type of gaming console) would already know that the PS4 Pro tops out gaming resolution at 1080p when it comes to streaming. Other consoles stop at 720p. Of course, the resolution has to come with that sweet 60 FPS or Frames Per second as well. Our research shows that the official app has garnered enough high rating which suggest that users are finding the gaming experience more or less lag-free. As for the controls, they are available to the user via the bespoke but official on-screen buttons. Other options include the user controlling games and content with the help of a gaming controller from Mfi. Readers should also understand that if they are on the PS4 platform then they will need to enable the remote play option on their console as we have mentioned above as well. Not only that they will also need to use the option that says Add device in order to generate a new PIN code. After that, they would have to actually input that code right into R-Play. Combine that with the user’s PSN ID and that is all that the user needs to get up and running. The user does not need to provide his/her password. Users can also customize the frame rate and the resolution from inside the app. But they can only do that up to a point. And that too only if the user’s home WiFi network has the capability to handle it. A weak home WiFi network would not have the capacity to take the full strain of various modern games and their top-end settings. Moreover, the R-Play app also comes with a rather detailed user manual. This manual is actually part of the app itself. All of this should be enough for any user to get each and everything up and running in a fairly smooth manner. We found it pretty disappointing to see that both Sony and Microsoft offered limited and restricted customer support for people who wanted to stream their games to their mobile devices. One reason why that could be is that there really isn’t a big demand for a feature like that. Moreover, it is also true that the controls on these streamed games to mobile devices are simply too fiddly to actually offer users any benefit. However, users who really have a desire to get their games up and running on their mobile devices should try out some of the other choices that we have listed in this guide so far. For the iOS platform that is.